It might seem odd to include this story in our month of scary fiction. It’s not exactly the stuff of Stephen King. But I felt a distinct tension and suspense reading this. I don’t believe it’s coincidence that Alfred Hitchcock gets name checked in the text. From a sheer storytelling mechanics point of view, Murakami uses a simple but interesting approach here. The story essentially consists of one conversation. A friend is telling the narrator about a strange time in his life. 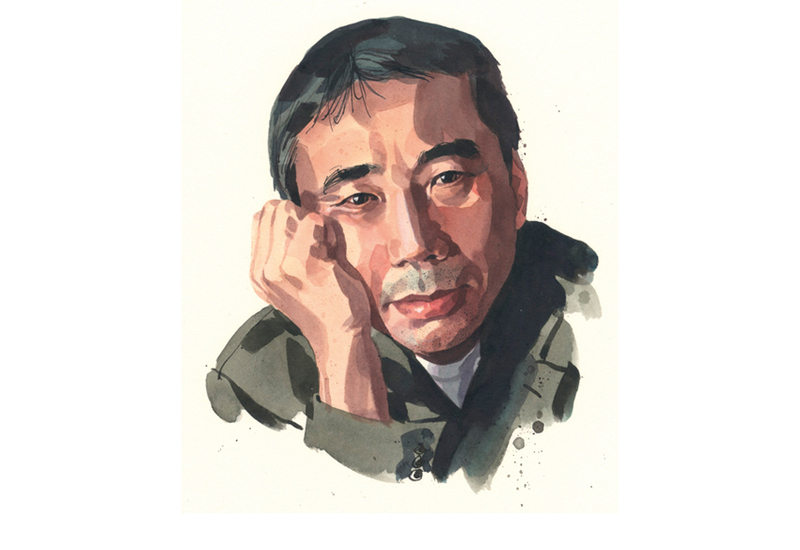 The narrator – coyly identified as a writer named Murakami – breaks from the conversation every so often to give the reader additional information and maybe a little subtle judgment too. It’s a method that dispenses with all the clutter. The reader is right there connected with the story without having to completely assume his first-person perspective. And that’s quite a trick on Murakami’s part. It was the middle of the night when the phone rang. He opened his eyes to find the clock reading 2:15. At first he was too groggy to grasp why a bell might be ringing nearby, but he shook his head and, almost unconsciously, picked up the receiver and held it to his ear. The now familiar voice pronounced his name again and, a second later, the connection was cut. “But you didn’t tell anyone you were staying in the hotel, did you?” I asked.